World War II veteran Herb Rubenstein, a Jewish kid from Brooklyn, helped liberate Nazi concentrate camps. Herb traditionally helped lead Vail's July 4th parade. 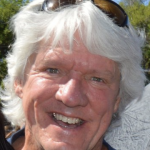 His memorial service is 11 a.m. Monday in the Edwards Interfaith Chapel. What: Herb Rubinstein’s Memorial Service. When: 11 a.m. Monday, June 25. Where: Edwards Interfaith Chapel, 32138 U.S. Highway 6, Edwards. Editor’s note: The Vail Daily has interviewed Herb Rubinstein numerous times about a wide variety of subjects. His quotes in this story are pulled from that material. EDWARDS — Herb Rubinstein, a Jewish kid from Brooklyn, helped liberate Nazi concentration camps during World War II. And that’s after he fought in the Battle of the Bulge and other battles that don’t have such catchy names. No wonder Herb Rubinstein smiled through most of his life. Herb Rubinstein died a few weeks shy of his 97th birthday and his and wife Thelma’s 70th wedding anniversary. His memorial service is scheduled for 11 a.m. Monday, June 25, at the Edwards Interfaith Chapel. He is survived by Thelma, their children, Dr. Andrea Klein and Jan Rubinstein, and five grandchildren. He’s so all American, he was born on Flag Day, June 14. You’ve seen Herb. 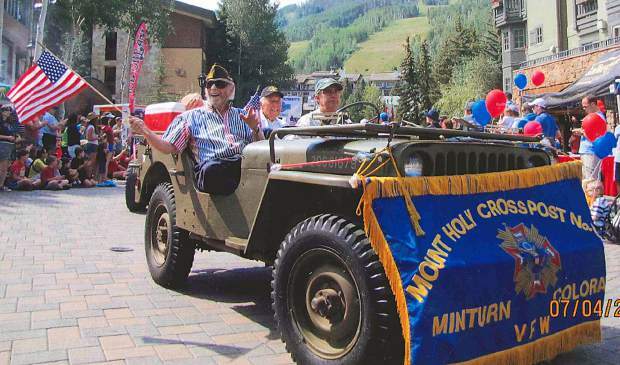 He rode in the VFW Jeep at the head of Vail’s Fourth of July parade every year. He was the one smiling and waving. And why wouldn’t he smile? Rubinstein served in the combat infantry, with a detour through the Army Air Corps after college, where they trained him as a navigator. Late in the war, the Allies knocked out the Luftwaffe, so back to the infantry he went. He survived Nazi attempts to kill him several times a day, served in the 89th Infantry and survived when so many others did not. They had no idea they were headed toward a Nazi death camp, a feeder camp for Auschwitz. No one warned them. Before supreme allied commander Gen. Dwight Eisenhower toured that camp, Allied soldiers marched the Germans from the surrounding villages through that camp to see the stacks of emaciated bodies, some living, but barely. Herb often grew incredulous when he spoke about it. “They claimed they never knew anything. They smelled the gas. They saw the trains pull in full and leave empty, but no one saw anything,” Herb said. He grew quiet as he recalled the day they found that Nazi death camp. “You see these guys in these trenches. All the bodies. The remaining people were like corpses, no meat on them. They weighed 40 or 50 pounds,” Herb said. The soldiers’ first impulse was to feed them, but they dared not, Herb said. “If they digested too much food, they would die, and a lot of them did die,” Herb said. Herb brought home a huge Nazi flag. Eventually, Thelma threw it away. Somewhere around the house is a German Luger pistol dropped by a fleeing Nazi officer. Herb picked up. If Herb had gotten on the Swiss watch-making tour in the waning days of World War II, then he would never have learned to ski, and he would never have landed in Vail. Everything is a story, and every Herb story is a delight. Like the time the Army gave him a month and a half to finish his senior year at Ohio University before shipping off to war. Or that time the Army sent him skiing in Arosa, Switzerland. His first time on skis he rode a J-bar lift up a steep incline with a cliff on one side and trees on both. “I said, ‘I survived combat, and I’m gonna get killed falling off this thing,’” Herb said. “I fell in love with skiing, which was very important in my life,” Herb said. Then he fell in love with Thelma. She was a reporter with the Newark Star-Ledger, meeting troop ships as they returned stateside after the war at New York’s Pier 44 and collecting stories. As a journalist, her stories tend toward the factual, and the facts are that Thelma was 22 years old and adorable. Herb noticed, as did the hundreds of other soldiers returning home through New York’s Pier 44. “After the war, I met Thelma. That’s that goddess sitting there,” Herb said, nodding across the table at his bride. “He picked me up at a gas station,” Thelma said, smiling. On that part they agreed. Herb was on his way to a date with a girl named Bernice. His gas tank was empty, so he stopped for fuel. Thelma wandered over to tell him that the service station attendant was fixing her car and would be along in a moment. People did not pump their own gas in those days. Herb was driving either a new convertible or an old jalopy, depending on who was telling the story. They talked, as folks will do, and she left him with her business card. He left her with a big piece of his heart. It took him a month to call her, Thelma said. “I had to get rid of all my other girlfriends,” Herb said, smiling. They met in December or January, he called her in April, and they got married in July 1948. “What took me so long?” Herb asked, laughing. “I said to Thelma, ‘I could get you a ring, but you can’t do anything but look at the ring. I’ll get you a pair of skis and boots at Macy’s, and we could have a lot of fun,’” Herb said. If you’ve survived combat, helped liberate Nazi death camps and unloaded troop ships, then fun is the meaning of life. The skis won that day, but for the record, Thelma wears a beautiful wedding ring. She didn’t, of course. They got married and have two beautiful kids. Thelma left journalism to become an English teacher. They migrated to Vail when Herb hit 65 and retired. “We had 70 good years,” Thelma said.